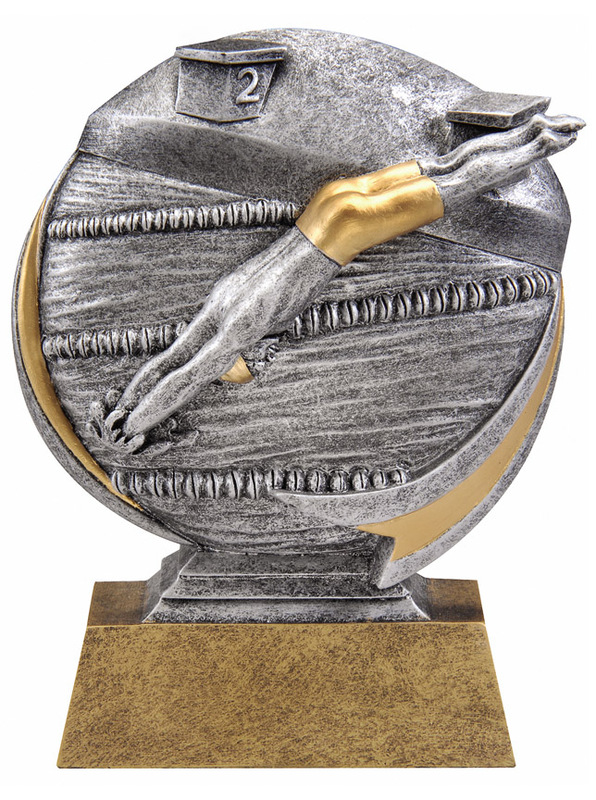 3D swimmer male on gold base. Copyright © Casa Faroy. All Rights Reserved.